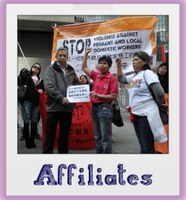 Domestic workers or domestic employment is prevalent in our country since ancient times. Continuous growing families in rural Bangladesh, starting from the city life, the family residence, dormitory, etc. mess and cases of domestic employment in the field. As well as the administrative center of the capital, Dhaka, and other aspects of the rapid development of industry and commerce, as well as the needs of people living in the cities and more developed in terms of economic benefits to the poor marginalized people of the city a significant part of the city, home, mess or dormitories are involved in domestic employment. As well as the development trend of technological development and advancement of digital data from humans are relatively better career. Due to the growing demand for manpower in domestic employment. The overall safety of the house and the family members of children as desired loyalty dice-Advanced œ, studied and brought to school, pregnancy matryata œ, and the care of older and disabled members of the educated and trained for the job, etc. 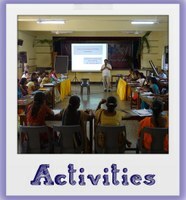 œ yugopayogi meet the requirements of the domestic worker. In addition, it is too important for sansarika happiness and good governance has become. Domestic imp ø domestic employment centers or through the development of this sector, the country's unemployed population centers yamenta temporary or permanent employment opportunities through the creation of the country's growing unemployment or poverty alleviation bekaratbajanita be meaningful and could be the role of domestic employment. 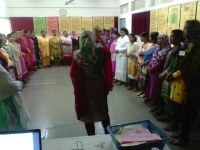 If the householder unayane relatively better educated and trained professional responsibilities and play an important role in the economy of the country, both domestic worker can garhasthyakarma. Meanwhile, the People's Republic of Bangladesh grhakarmake institutional shape, working staff of professional excellence by providing the necessary education and training to improve the living and social status, both the employer and the employed workers in the domestic culture, safe, well-maintained and the domestic worker relations and working conditions for workers conditions and safety, decent working conditions, wages and welfare, and the relationship between employers and domestic workers angered by providing guidelines, including the reduction of "domestic security and welfare policy, 015" has been formulated. Domestic security and welfare policies, 015 in the light of domestic sthayithikana and workplace information halanagadakarana and preserving the direction has been given to the Domestic imp ø yamenta centers through the establishment of the country working in the domestic one and the same database for inclusion in the easy and logical to make and if domestic workers, employers and his family members, local government representatives and law enforcement agencies can coordinate with. Through the implementation of a potential domestic institutional karmasansthanaksetra-karmasansthanake as possible. Temporary or permanent employment for the educated and unemployed adhasiksita hunger and poverty through the creation of self-employment in Bangladesh to build domestic development now seems necessary.